On Jan. 29, the U.S. Dept. of Commerce reported the Gross Domestic Product (GDP) for the fourth quarter of 2015. It plummeted to an abysmal 0.7 percent—down from 2.0 percent for the third quarter. It’s the dead of winter, folks, and times are tough. The weather’s bitter cold and consumers aren’t spending any of that money saved from lower gasoline prices. 1. Remember the 80/20 rule. Eighty percent of your sales come from 20 percent of your customers. Concentrate on pleasing them; i.e., cross sell and upsell to customers who already know and trust your brand. By catering to your best customers, you will convert them into “brand ambassadors” who love your products and services so much they will tell everyone about you. That should enhance your exclusivity as a preferred provider and creates a positive vibe about you. 2. Raise your prices. The easiest way to increase revenue is to raise your prices. Your best customers won’t care. Your worst customers will disappear—which might actually help you concentrate on who you really want to sell to. 3. Target your niche markets. Analyze who they are, how they think, and what you need to do to please them. Ask yourself: What resonates most strongly with your target markets? 4. Include an offer every time you connect with target markets. They need to feel special and must be convinced that you understand their needs and are eager to take care of them. 5. Update your customer mailing list and use it to follow up. Consider how they prefer to keep in touch. Are they comfortable receiving an email newsletter? Are they heavy social media users? Discover where your customers are and then create a plan for keeping your brand visible on a regular basis. 6. Make special, limited-time offers and create a sense of urgency. If buyers resist purchasing, then make them an offer they can’t refuse. Be sure to track increased sales volume. What products generate the best results? The worst? Keep testing and adjusting. And don’t forget to set deadlines. 7. Minimize risk. Many prospects get as far as the shopping cart, but back out because they have a question. Make it easy to communicate and accommodate any hesitation. Doing something simple like including your email address or phone number on your shopping cart page will help close sales. 8. Use testimonials. One of the most powerful marketing strategies is including testimonials from satisfied customers. Use them often; use them everywhere (websites, ads, brochures, business cards—you name it!). 9. Network with local business “butterflies.” It never hurts to attend professional events sponsored by the local chamber of commerce, Better Business Bureau, or other business associations. Find out about upcoming business trade shows and their schedules of events. Attending shows, conferences, and seminars provides a chance to mingle and network. Important people like to deal with other important people. Act professional and don’t be overtly aggressive in trying to sell them. 10. Listen—don’t talk. You won’t learn much by talking. You need to understand what customers and prospects are thinking—their motivations, concerns, and even emotions—to satisfy their needs. 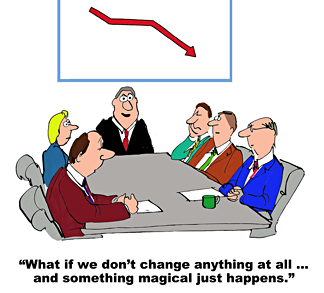 Do you have any tactics to generate revenue? I’d love to hear from you and share them with other business owners. Wauwatosa has a more than 100 restaurants located in a small geographic area. 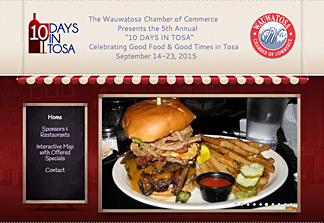 To help promote these businesses, five years ago the Chamber of Commerce created “10 Days in Tosa,” a promotion that encourages diners to visit local restaurants. In July I was asked by the Chamber to redesign the 10daysintosa.com website. Using the latest “cloud” technology, in just a few hours I energized the look by creating a fresh, contemporary design that includes a revolving slideshow featuring mouth-watering menu dishes as well as a user-friendly map pinpointing restaurant locations and specials. But site appearance was only half the challenge. After 20 years of building websites, I know that trusting the slogan: “If we build it, they will come” is a huge fallacy. As I wrote content for the Home page, I identified the target audiences as restaurant owners and their customers/prospects. How do I attract both of these groups to this website? The best way to increase the site’s visibility and traffic is by using organic search engine optimization (SEO) to identify popular keyword phrases and use them in site content to build visitor traffic via search. 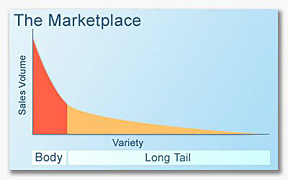 If you’re familiar with the concept of “long-tail marketing,” then you understand that a small target audience can be a potential gold mine of new customers. The most receptive prospects are at the narrow end of the tail because their need is very specific and easily converted into a sale. I researched those keyword phrases that: 1) are niche-oriented; and 2) part of a local search. Think about it: If I can identify a small but active group of prospects, I can use those search phrases they’re using to optimize the website and “pull” those people in to 10daysintosa.com. Do you see the big difference in search numbers for this a tiny variation? Doing your homework is critical! It’s always best to identify the most popular keyword phrases for use in content development. Once optimized content is in place, the website “feeds” the search engines with high-volume keyword phrases, resulting in: 1) higher local search engine rankings; and 2) more potential customers finding the website. If you’d like more information, feel free to contact me. Do you have an idea for a book? Whether your topic is business-related or a hobby, what’s holding you back? Before you decide to commit, there are a couple of things to consider. Do you want to self-publish to share your passion, earn extra income, or a little of both? Are you hesitating because you’re not sure how to begin? Before you start writing, decide if your idea is saleable. — Find out if your topic is popular enough to generate sales. Do a search for the topic using related keyword phrases. If you’re unfamiliar with Google’s Keyword Planner, visit http://spyfu.com. — Craft the book title based on keyword popularity. — Create a book outline that includes chapter titles. 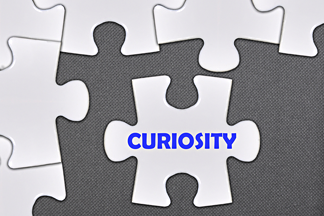 Based on keyword popularity, you should begin to perceive what people want to know. — Identify your readers. Demographics will help you decide if the format should be print, an ebook, or both. — The book shouldn’t be too long. These days, a shorter volume with interesting graphics works is best. 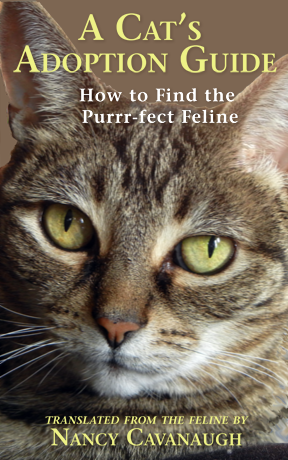 When I had a flash of inspiration about writing an ebook about cat adoption, I did some keyword research and quickly learned it was a popular topic. No big surprise. People love animals and want to read stories about adopting. I have 13 years of experience caring for shelter cats and after my oldest cat Thomas passed away at the age of 20 last year, I decided to dedicate thoughts about how to adopt a homeless cat. Here’s a little-known fact about book promotion on amazon.com. Google loves Amazon. Why? — Amazon.com is too big to ignore when it comes to search engine optimization. So Google pays attention to what’s on amazon.com and places high value on its content. — Google indexes all the book titles on amazon.com using the same criteria as websites; i.e., keyword phrases. — If your book title and table of contents includes popular keyword phrases, then a Google search will likely find your book on amazon.com high in the results. — If you understand how to optimize your book title and chapter headings, you have a huge opportunity to reap additional book sales using search engine optimization. Publishing has reached a whole new level in how and why books come to market. The explosive growth of self-published authors in that marketplace offers a huge opportunity to create books without having to deal with agents and traditional publishers. And with intelligent research about potential readers, you’re in a better position to promote your book even before you sit down to write. Would you like guidance in bringing your book idea to market? I have experience in self-publishing both print and Kindle books. Just call (414) 771-8906 and ask for more information. On January 16, less than two hours after sending email blast about “How to Know When it’s Time for a Website Redesign,” I got an inquiry from a book indexer friend of mine. Her site was seven years old and she agreed with me that an old website design projects a poor image. She needed an update but also wanted to keep a static, HTML-based site. She didn’t want a blog or mobile responsiveness—even though the lack of both was sure to damage her site rankings. What she did want was a fresh web design appealing to book publishers—her primary market. She reasoned that most of these people use their desktop computers and all she needed was a contemporary, professional-looking site optimized for search engines. Under the circumstances, I reverted to an earlier website-building process I hadn’t used in several years. I concentrated on: 1) innovative design, and 2) high-quality content that could still rank highly in search engines because it aligns perfectly with search intent. Note: I don’t recommend this approach unless you’re sure of your target market(s) and aren’t concerned about technological trends. Otherwise, if at some point in the future you need enhanced functionality, you’re stuck. After my client approved the web design (I nailed it on the first try), the next step was developing the site. I relied on my old friend Dreamweaver—site-building software I had used for almost 20 years—to bring the design to life. Ultimately, this website redesign was similar to many other sites I have designed and developed over the past 20 years—only with extra emphasis on large, original images and heavy concentration on industry-specific SEO that attracts and holds visitors. How about your website? It’s not too late to recapture your reputation as a business leader with a website makeover. I’m only a phone call away (414.771.8906). “Website” is a general term. There are many different kinds, so asking about cost is like asking about the cost of a house or a car. I’ve created all kinds of websites since the web went public in 1995. As Internet technologies evolved, sites changed from being very simple to more complex. Over time, the cost of a web presence increased depending on the need for customization as well as the “bells and whistles” built into any site project. 3. how what you can afford fits in. To give you an idea about current cost conditions, working with Cavanaugh Interactive, the average cost of a state-of-the-art website is between $1,500 to $3,500. Depending upon your needs and how well you’ve prepared, that price could fluctuate higher or possibly even lower. If there is another function that isn’t listed here, of course it can be accommodated as part of your plan. Keep in mind that each project is different and these prices are subject to change. Please contact me to get an exact quote. Ask yourself if you want to do this again in six months. If we agree that your answer is “no,” then working with Cavanaugh Interactive will get you the latest and greatest technologies to keep your site productive and fresh. 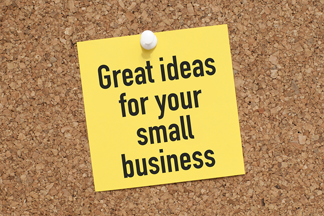 Many small business owners start with an idea. They are convinced they have a solution and can build a profitable niche for their idea. American business has thrived on the belief that an entrepreneur can succeed through hard work and dedication. Historically, if the business could last for at least five years, then chances are good that it will survive and grow. In the long run, those same business people come to realize there are inherent obstacles that might derail priorities and cause their business—as well as themselves—to suffer. Strategizing and goal-setting. You need to spend time evaluating how your business goals are coming along. There should already be a written plan with goals that are measurable. They should be attainable (not pie in the sky), relevant, and time-bound. If you don’t have a written plan, begin by writing down basic goals like number of sales per month, expected revenue per month, number of prospects reached, sales closures. Many of these expectations may already be in your head. Put them on paper and you’ll begin to expand each into practical strategies for achieving them. Remember, you should be working on your business—not in your business. This activity is top priority and unfortunately the one most often postponed or ignored. Managing. Often small business owners find themselves balancing sales and marketing with paid client work; finance and product development with the search for financing; accounts receivable with business development. A small business owner needs to be proactive—about these areas of concern. If you’re tracking your time, classify each entry by the nature of the activity to find these imbalances. Then discover solutions to regain your balance. Marketing. With a limited marketing budget, it’s hard for a small business to reach new clients. Even with the many forms of free marketing available on the Internet (social networking, blogs, company websites), you still need to spend time planning and executing. I try to spend one day per week working on marketing, reviewing the overall plan and progress to date. I look for new opportunities. I stay on my toes. Access to new technology. Although it’s true that often a small business doesn’t have the financial resources to take advantage of new technology, that’s no excuse for hiding from it. I know of larger, well-established companies that are decades behind technologically. They may have been aware of change, but upgrades were postponed to the point where their ability to compete today has been compromised. Don’t go down that road. It leads to extinction. A small business is more flexible, more nimble, and there are solutions that fit their needs, too. Learning. If you’re passionate about your business, it’s only natural to keep up with industry trends. Likewise, touching base with your LinkedIn connections or your favorite influencers is good networking. If you like old-fashioned, face-to-face meetings, remember that people are working harder these days and are careful about screening the business events they attend. You can still do reconnaissance and networking very effectively, thanks to social media. And remember: There’s still that instrument on your desk called a telephone you can always use. Reviewing your daily activities on a regular basis can make a big difference to your success as a business owner. At the end of the day, you will make better use of your time as well as increase your overall productivity. 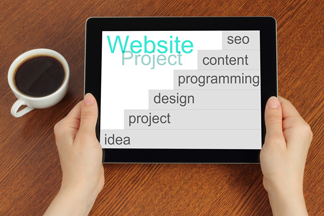 Recently I was asked by a business owner why I thought his website needed a major redesign. The site is eight years old and hadn’t been updated even once—not the design, not the content, nothing! The web moves at light speed, so an eight-year-old website is obsolete and as such, seriously damages your business presence online. Imagine this situation: You subscribe to the Sunday newspaper. Your first copy arrives and you enjoy it. The following Sunday the next edition arrives, but it’s exactly the same paper as before! The next Sunday the same thing happens again. How long would it take before you cancel your subscription? 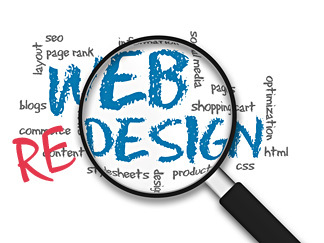 Old, static websites have a negative impact on visitors. What are they supposed to think about your business? About you? Because the site has nothing new to offer, they might decide your company isn’t growing or maybe you just don’t care enough to keep them up to date. Either way, that’s worse than not even having a site at all! Ask yourself: What’s new since I built the last version? If your website is even a couple of years old, you’re missing important changes in design and content requirements. Google’s search engine algorithms have changed radically, making content increasingly important for ranking high. Likewise, web design has evolved to accommodate larger desktop monitors. Sites older than 5 years were designed to fit on 14 to16-inch monitors. Today, the norm is 21″, which means fixed-width pages that once filled an entire screen shrink dramatically on bigger screens. Ironically, the explosive popularity of smartphones and tablets means that web design has to be mobile responsive as well; i.e., viewable on small screens. Even if your site is only a couple of years old, it won’t display properly on mobile devices. Visitors don’t come back a second time if your content is a disorganized mess. So you lose traffic, leads, and revenue potential. Are you asking, “Do I really need to?” Many business owners with older sites hold back because a major renovation can be intimidating. But if you don’t, today’s consumers will pass you by. They’re more sophisticated and expect more from your site. So if you think you can keep your old site a few more years, take a look at what your competition is doing. Or your site traffic numbers. So yes, you really need to do something now. A redesign or update gives you the chance to assess your entire business presence online and make any needed changes. Planning should include analyzing your marketing efforts, looking at any new functionality you want to add (like a rotating slideshow, video, and/or blog), as well as anything you want to remove. Many sites I redesign are transitions from “brochureware” to “sales funnels.” Modern websites fulfill the needs of visitors by anticipating their questions and concerns, then guiding them through the sales cycle. A site containing nothing but static pages with information that doesn’t change holds little value for customers. Likewise, search engines relegate inactive, unchanging sites to a low ranking or—worst of all—bypass them altogether. Before you begin a redesign, you need to take measurements of your traffic numbers and other important information. Once the overhaul is complete, take a new set of measurements. Initially, traffic should spike upward. Be sure to check the numbers periodically to make sure that everything’s on track. A vital component in the redesign is search engine optimization, which, if done properly, attracts the right prospects and customers needed to increase business revenues. Be sure to put SEO as well as mobile responsiveness at the top of your priority list to discuss with your design/development team as integral project components. Understanding why your website should be updated is important because you begin to see the opportunities you’ve been overlooking. 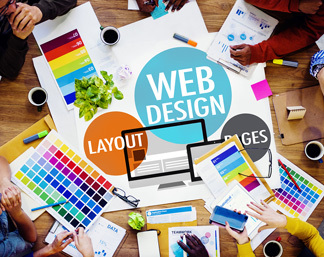 A site redesign is an exciting chance to make a giant leap forward by adopting new technologies, creativity, and imagination to surprise and delight your prospects and customers. When all those elements come together successfully, the benefits accrued to your business will cause you to wonder why you didn’t do something much sooner. If you’re interested in a free website audit, contact me and I’ll be happy to review your site and make recommendations. Call (414) 771-8906 or fill out the contact form.